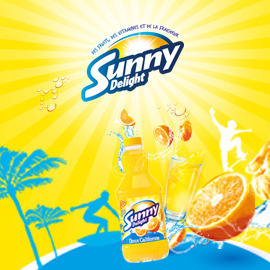 Sunny Delight is fruit-based beverage, very popular among teenagers. It comes in many flavors and is often associated with freshness, dynamism and confidence. The name itself reflects a very positive look on life, full of sunshine, pleasure and an adventurous lifestyle. It is sold in the fresh fruit juice aisle where most products tend to be premium. Sunny Delight is quite unique in this section as it is accessible to price-sensitive families, so not in the premium category. Teens from 12 to 20 years, lovers of Sunny Delight, are people in transition. They want to leave childhood behind and no longer be seen and treated as kids. They want to gain freedom, independence, and autonomy. They are eager to make their own experiences. They want to start living as adults, and to be recognized as such. In other words, they want to assert themselves & their personality and become someone. Sunny Delight need your creativity to invent a new drink for teenagers who want their own identity and to assert themselves.